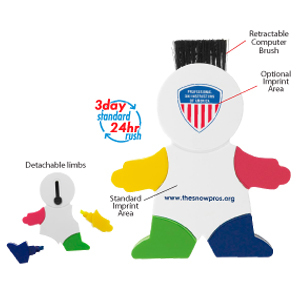 A four color highlighter set with a computer brush on the head. Each limb is a different color. Optional : 38 mm diam.